The Microsoft Surface Pro was announced in May and is now expected to get LTE support. The device will be announced next month at the Future Decoded conference in London. Microsoft is set to announce a new Surface product at the company's annual Future Decoded event in London next month. Panos Panay, Microsoft's Surface Chief, will be delivering a keynote where he is expected to announce the LTE variant of the recently launched Surface Pro. Ahead of the actual announcement, a UK-based retailer has jumped the gun and listed the device on its website. Misco, an online retailer in the UK, even started taking pre-orders for the device and it claimed the device will start shipping to those who pre-order in December. MSPowerUser notes that Microsoft plans to charge a premium of £145 for the LTE model in the UK. It adds that the Surface Pro LTE with 8GB RAM, 256GB storage and Core i5 processor will be priced at £1,169. The device is expected to cost $150 more than its WiFi-only variant in the United States. Microsoft announced the new Surface Pro with a design similar to its predecessor in May. 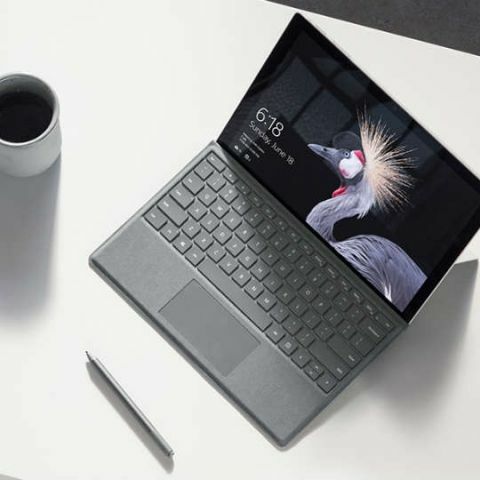 The new Surface Pro will apparently have a 165-degree hinge similar to the Surface Studio, and offers up to 50 percent improved battery life. At the London event next month, the software giant might also introduce refreshed variants of Surface Book and Surface Hub. Microsoft Surface Pro (5): What’s changed? Since the launch of the first Surface in 2012, Microsoft has updated its lineup to include a clamshell laptop, a detachable 2-in-1, a tablet hybrid and even an all-in-one PC. With the Surface Pro LTE, Microsoft will clearly aim at professional users who need to be connected while on the go. It will be important to see how Microsoft differentiates the two variants and whether it manages to demonstrate the value of LTE connectivity. I think, in the end of this year. This year defentely, it cost around 1500 INR. hi @aloksingh, what is the meaning of Quarter 3 ?? But i think, it is not dual sim mobile. Anybody know its full configuration ? IS Nokia 130 is a multumedia set ? @pankaj30 , it is not a windows phone.